Today I have the pleasure of welcoming Marcia DeSanctis to my blog as I continue to seek out writers who are introducing me to France who embody such a beautifully built-in passion for a country of whom winks at me from my ancestral past! I have started to notice a growing trend to where I am leaning more towards non-fictional accounts over fictional stories to help me hinge myself directly into the viaduct of French culture, history, and sensory delights translating straight off the page and into my mind’s eye. It is not enough to simply devour stories set in a country you have grown to appreciate and hanker for a more intra-personal connection. You have to find a way to breathe in the essence of the country by any means you can. I still remember quite fondly my accidental discovery of a French compilation disc of musical artists who only produced their music in French. I was wandering around a kitchen & home economics shoppe, whilst enjoying the lovely goodies being given out at a spontaneous tasting as I wandered around with a mind lit alive the with possibilities of which gadgets, gizmo’s, and modern upscaled appliances might whet an interest in my sous chef head of dreams. I tend to lean towards the fundamental pieces you will find in a chef’s kitchen; the ones bent on cooking and baking such sensuous delights that the aroma from the kitchen itself creates an experience. I find the same can be true by discovering authors such as DeSanctis who do not merely give us a travelogue to absorb, but a transcendence of a state of mind, scope of scale, and a tangible grace towards visiting a place our feet cannot yet tread. She pulls you into the country, but it is more than that, she draws you into the heart of the people and the way in which France translates to the human heart. You mentioned on your blog that narrowing the list down to 100 Places in total set your world out of orbit a bit, as you were constantly questioning your motives after interacting with people who were critical of not having a particular location included. At the end of the day, isn’t the book the 100 Places you’d want us to see and in effect see the beauty of the moment of what that particular place gave to you? How did you creatively find a solution to respond when someone comes up to you even now, and questions an exclusion? How do you explain the purpose without losing the person’s attention? DeSanctis responds: Good question! There is nothing scientific about a list, whether it’s People Magazine’s Most Beautiful, or somebody else’s 100 best rock songs of all time. But we do love them – they can clarify our thinking, help shed our doubts or reinforce our own opinions. No one wants to be dictated to, but in the case of travel it can also be a relief when someone else edits a bit, makes those tough decisions for you. I canvassed friends who know and love France, too, and interviewed over 100 people for their opinions. Each of them added something, from a glimmer of an idea to profound insight, like the scientist I interviewed about the influence Marie Curie had on her. There are many people who know France better than I do, and they would probably come up with a different 100. It came down to a couple of sub-criteria – is there a story of a great woman that could build a frame around this place? Is it so beautiful that we forget ourselves and our hearts stop? Is it somewhere that has a powerful memory for me, like St. Tropez, a place that is somehow eternal – and gorgeous and deeply, poetically French? Or is it something so iconic that it had to be included – something like shopping for lingerie or perfume in Paris? I tried to avoid cliché in writing this book, but France has a strong identity that can, in the best way, force itself upon you when you are there. You can’t avoid champagne, café crème, chocolate and moonlight walks along the Seine. And nor should you. But yes, everything in the book was mulled over – agonized over, really. I’m delighted, actually, when people challenge me. What about Chartres? What about Montpellier? How could you not mention Musée Chagall? That’s a common one, and I totally understand because it IS spectacular. Chagall is included in the chapter about Joan of Arc, but not in the chapter about Nice, where the museum is located. I wanted to include my own familiar places, rather than a compendium of everything to see there. By nature, lists leave a lot of great things out. And therefore makes for spirited discussion. Stories are the very nature of how we identify with each other and how we share our experiences whilst we are alive. Stories evolve out of emotion as much as thought, they can be rooted in what is tangible and seen as easily as what is conveyed by our sense of smell; how did you purport the stories to manifold inside 100 Places that would give the reader a direct impression of what inspired you? DeSanctis responds: I’m glad you brought up the sense of smell. I have a good nose – I smell everything – and it dictates a lot my emotions and even subsequent reporting, especially when I travel. In my book, every time I’m by the sea, or under the hot sun, or I get off a train, I am aware of the air and the scents floating through it – of lavender, rosemary, orange blossom. In the north, in the winter, the smell of gorse – like citrus or vanilla – is quite heady. Scents for me are like light – it is an effect that helps cast the initial spell and tells the subtler truth about where you are. It’s a subliminal phenomenon, rather undeliberate, which extracts the poetry or the essence of a place. But everything else can inspire, too – the architecture of devotion, the majesty of green spaces. I try to convey my awe without saying “Wow!” I try to say, here is the bigger story. Sure you should go to that pretty lighthouse. But when you’re there, try to decipher the metaphoric possibilities of a giant structure whose purpose is to help mortals weather storms. They are overpowering. You once mentioned in an interview that travelling for you is a method of appreciating what you have back home, can you explain on how the art of travel transformed out of adventurous curiosity and became a necessity in your life? DeSanctis responds: Just as we can’t imagine a landscape when focused on a close-up, we can’t make sense of our tiny little lives unless we detach from it. This is what happens when we travel: we rip ourselves from our moorings, the people we love, our routine. We pack a little wheely bag and shut the door behind us. Travel writing is the best means I know to comprehend what is familiar by encountering the unfamiliar. Personally, at one point my life became marked by a great deal of restlessness. My quest in travel was and is to reconcile the chaos of my inner world with the relative structure (and purpose) of itinerary and gathering story. My aim in travel writing, I suppose, is to try to make my story the reader’s story too. I completely agree with your thoughts on how travel brings the full scope of our individual perception on life and on where our life has taken us full circle. What are some of the most important things you’ve gained by travelling through France through the portal of time reverting back into your mind’s eye?! DeSanctis responds: The fact that I’ve had the good fortune to return to France again and again through different phases of my life gives a rare and peculiar intensity to the normal introspection that travel incites. I have walked across the Pont Neuf as a student, a young wanderer, a professional woman, a new wife, a new mother, a mother of teenagers. I have walked across with men I’ve loved, with my husband, with friends, my babies and the almost-adults they became. I’m quite nostalgic about my time there, and able to see myself very clearly as I was at the various points on this timeline. I remember a pair of tan sandals I wore during one summer, and my legs – how strong they felt as I strode along the quais. I suppose I can envision myself in the future as an old lady hobbling across the river. I hope my mind is intact so I can still conjure up my youthful self! What is one intrinsically unknown truth about France that might surprise American readers? DeSanctis responds: I don’t think French people are rude. At all. I have never understood that characterization, to be honest. Yes, occasionally I have encountered jerks in France as I have in almost every country in the world. People can be irritable and brusque anywhere, especially in places where tourists come and ask the same annoying, entitled questions day after day, year after year. But I find French people to be among the warmest and most inviting people on the planet. I celebrated reading that you are passionately addicted about descriptive narrative, as I myself, am a champion of those writers who knit their narratives together with such descriptions as to paint the scenes alive in my own imagination; to be able to drink in their vision as readily as if I were there whilst they penned the story itself. Place is as definitive as any human counterpart of a character, as like you said a place can change as quickly as the tides of the human soul. What did you find the most inspiring about attempting to carve out a living palette of France’s character through 100 Places? DeSanctis responds: Thank you for loving descriptive detail. I do too, and it’s quite out of vogue. I immersed myself in a lot of great writers for whom France was their subject, from Henry Adams to Madame de Sévigné to Thomas Jefferson and the letters of Abigail Adams. One of my touchstones was A Motor Flight through France, by Edith Wharton. The point of that was to attempt to see France through someone else’s eyes, not mine. Most inspiring to me, of all that inspired me this time around, was the non-fiction writing of Colette. Many of her works are assembled in the collection Earthly Paradise. I have never known such a connection between a writer and the sky, her earth and the creatures that inhabit it. She is a beautiful, evocative wordsmith who is able to see ten things at once, ten more from the corner of her eye, with ten different textures and ten different colors. When I flagged while writing this book, and I did at times because I was on a tight deadline, I would read her 1944 essay “Paris from my Window.” It was always a gust in my sails because there has never been a more passionate love letter to France and it reminded me why I was writing this in the first place. I appreciated that you use technology as a tool rather than as something you cannot live without day to day. Do you find we’ve become too hung up on technology to where most people cannot travel to see what is in front of them without conferring with the gadget in their hand and miss the experience completely? DeSanctis responds: I use technology less when I travel than I do at home. So far, it is too expensive to stay plugged in overseas, so it is always a revelation to spend a day without checking emails! I will say that the camera phone helps me a lot. It jogs my memory, it helps with my blog. But yes, I do think we risk missing truths about what is in front of us if there is always a camera separating us. 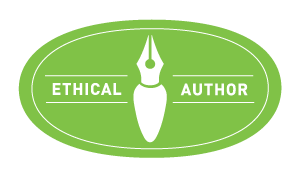 Do you feel you’ll shift from travelogue and non-fiction pursuits for the appeal of carving a descriptive narrative set inside a fictional world? Where do you think your heart will continue to lead you forward now that 100 Places has been released? DeSanctis responds: At the moment my heart seems to be with non-fiction, especially in the realm of travel. So as long as I can get around with my wiles and a valid passport, I will keep waiting on those endless security lines and jumping on airplanes. I am working on a narrative memoir, in fact, only one portion of which takes place in France. I would love to sell my novel but I’m afraid even to look at it right now. Your personal style inside 100 Places is nearly as though you’ve given us a full glimpse inside your private diaries and have let us inside your internal world of thought and sense of perception whilst living in the moment of discovery. Was there a moment where you felt you needed to hold back from revealing something or a time where you felt you hadn’t shared enough? DeSanctis responds: Yes, definitely, but I had always to keep in mind that this book, though it has a lot of personal recollections and plenty of first-person, was not at all a straight-up memoir. I had a rich life in Paris – had a broken heart, been rushed to the hospital, worked, got married, bought real estate and had a circle of fascinating friends. I’ve spent weekends in châteaux, been broke, employed and everything in between. But this wasn’t exactly the place for the juicier details of daily life. Also, I’ve written some memoir pieces on France – two for Town & Country and one for Vogue, so I didn’t want to retread familiar terrain. I should also say that I held off for the most part from writing about my kids. Like most mothers, I’d be happy to tell stories about them all day. We’ve spent some time together in France, and it’s been great (hot chocolate at Fouquet’s) and not great (my daughter developing a life-threatening infection in Paris) and there are tales to tell. But I didn’t want to cross that line into parenting literature, much as I love to read memoirs about mothers and children. Even George Sand, now that we’re on the subject, wrote a lot about her kids. For me, this book was not the place. Name three places in France not mentioned in the book you hope readers might have the courage to discover on their own and what do you hope they will find? DeSanctis responds: Oh boy. First, Fondation Louis Vuitton was not yet open when I finished the book (one disadvantage of writing it stateside, I suppose) and it fits in the mission, with its soaring grace and association with fashion and luxury. Second, the Île d’Aix in the Charente-Maritime. It’s tiny, framed by beach, and one of my new favorite places in France. Third, I have to say it. Musée Chagall in Nice. His paintings are profound, gorgeous and the museum gives the work the space and light it deserves. What was the impetus which gravitated you into writing? And, when did this occur? Who was your best cheerleader? DeSanctis responds: I’ve always been a journalist, first in television, so writing was a natural progression for me or would have been had I not been waylaid by fear and doubt. I loved my creative writing courses in college, but at the time, I could not imagine setting out as a writer. It didn’t seem logical that one could spend four years in college, graduate and not get a job! It’s strange that it took a twenty-year career in television to figure it out. My husband helped me greatly and still does. He’s a sculptor. In particular, he guides me through rejection, of which there is (at times) more than I think I can bear. It’s all part of it. Soldiering through. But the act itself of writing suits me. I’m a solitary creature, quite content alone in a room. Outside the sphere of writing and research, where do you find your serenity? What lifts your spirit the most when you are not creating? DeSanctis responds: I love to cook. It’s so satisfying, efficient, and fraught with little agony. Shop, prepare, eat, done! It makes people so happy. How different it is from the ponderous, immersive, and drawn-out act of writing. If my essays were like the ginger cookies I bake or the crispy chicken I roast, my ego would be enormous. Everyone would gush about my brilliance and always ask for more. I am truly thankful that I saw this book arriving on France Book Tours, because it has not only given me the chance to feel as though I have quite literally travelled to France, but it opened a door into being able to interact with like-minded souls who came together quite serendipitously on Twitter; united through a combined joy of reading Edith Wharton. I am always mindful of the moments in our lives where our paths start to intersect with others in such a beautiful way as to give us a nod of a wink towards the greater joy of living with an open mind towards the unexpected blessings that arrive when we are quite happily unaware of their presence. I wanted to yield to Ms. DeSanctis’s responses today, as I loved the time she gave to the questions I had asked of her and the warmth in which she replied to give my readers such a wonderful conversation to read! My gratitude is hers — and dear hearts, my review of 100 Places in France (my endearing name) will post lateron in the late afternoon or early evening. I look forward to sharing my reflections and thoughts on what impressed me the most about the 100 Places she named! Read my thoughts about “100 Places in France” & how the book inspired me! on my Bookish Events page! 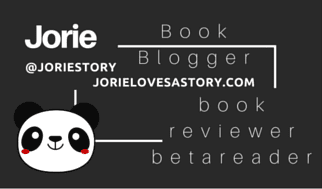 Indie Writer Month (#IndieWriterMonth)| a special focus on Jorie Loves A Story during November & December 2014! You’re quite welcome, Ms Emma! I had a wicked good time hosting Ms DeSanctis, as much as I have enjoyed the discovery of other non-fiction books through touring with #FranceBT! The honour is mine to give a nod & a wink to those books which took me by surprise and warmly touched my heart with a sense of what it would be like to either visit &/or live in France! thanks for posting this great interview!